Many of us wonder if we are consuming all the necessary vitamins and nutrients for a healthy body. The problem? It is almost impossible to track the precise nutritional value of all the food we eat. So what is the best way to ensure your body gets everything it needs? The answer is supplements. No matter if you are a health conscious vegan, you can still have a deficiency of certain nutrients. The easy and healthy way to deal with this deficiency is through supplements. If you have fully devoted yourself to the vegan lifestyle, you have to opt for the best multivitamins for vegans. There can be animal by-products in regular multivitamins. For instance, gelatin is used as a common stabilizer, which is obtained from animal organs. Fortunately, there are plenty of vegan multivitamins that have been designed keeping in mind the requirements of vegans. To make it easier for you, we have boiled them down to a few bestselling products that are known for their efficacy. This product is very famous in vegan communities around the world. It has balanced multiple vitamins and minerals that have been obtained from special herbs, whole foods, and plant foods. The ingredients include alfalfa, dandelion, spinach, chia seeds, ginger, broccoli, and cinnamon. Deva Vegan is best for vegans as it has a higher amount of B12. Vitamin B12 deficiency in vegans is very common among vegans as vegan diet lacks B12. To cover this deficiency, Deva has 100 mg of B12 in each serving. Not only that, but it also has you covered for calcium and iron. Many vegans avoid dairy products altogether so you also get about 100 mg of Calcium as well. In addition to the essential vitamins and minerals, it also has a bit of Folic Acid. It is a product certified by the Vegan Society and is known for its potency, freshness, and purity. It comes in a bottle with 90 tablets so you are good for about 3 months with just one purchase. The VeganLife Multivitamin contains over 21 essential vitamins and minerals to help you have a balanced nutritious intake. Made from advanced formulas and only premium quality ingredients, it provides your body with every nutrient it needs. The product is also available in multiple versions. One version is rich in vegan Iron for those who suffer from a deficiency of Iron. Not only do you get vitamin supply like Vitamin D3 or B12 but also get additional Iron to keep all nutrient levels balanced. Iron is an extremely important substance and even though the vegan diet can be rich in iron, some people still may be deficient in it. VeganLife claims that their tablets contain ingredients that have been uniquely derived from vegan sources and have no shellac coating. This means, your mind can be at peace knowing no animal by-product is entering your body. This one too comes in 90 tablet bottle that has a long shelf life. These are usually taken three times a day. VegLife is a well-known global brand. Their Vegan One Multiple tablets contain all the essential vitamins and minerals needed for a healthy body. These tablets are relatively easier to swallow and are known to work almost instantly. You just have to take one in a day and all your vitamin needs are met. This product also has an iron-rich version which people with serious Iron deficiency should go for. Both the versions are essentially the same, only there is Iron present in the iron version. The Iron is coated to help stop interaction with incompatible ingredients so it is a completely safe and healthy supplement. There are all essential minerals too in fairly small amounts like zinc, calcium, iodine, and copper. Mineral deficiency can also impact your health so these tablets can help keep the right balance. There is 100 mg of B12 in every serving as well. A vegan diet is full of products that come from non-animal sources. While many such products have the essential vitamins, there are a few vitamins and minerals that come from specific sources not present in such a diet. Vitamin B12 is one such vitamin that vegans usually do not get enough of. Even with organic produce grown in B12 rich soil, most vegans have to resort to supplements to meet the necessary level of B12. They may also need Vitamin D depending on the region they live in and the amount of sun exposure they receive. Some vegans may also be deficient in some minerals like iodine, calcium or iron. This is mainly because such minerals are supplied by dairy products. Even though some leafy green vegetables are known for high amounts of minerals that increase red blood cells, they still may not be able to provide enough for a well-balanced health. Vegans cannot just take any multivitamins or supplements because you cannot be sure about the ingredients being vegan-friendly. That is why we have multivitamins produced specifically from pure vegan sources for vegans. A balanced vegan diet containing vegetables, fruits, nuts, whole grains, and seeds should provide all essential vitamins including prenatal vitamins, but many vegans still fall short of certain vitamins, B12 in particular. So vegan multivitamins are designed to meet those particular deficiencies. Also, you have to be careful about the sources from where the vitamins have been derived from. For instance, vitamin D3 can be derived from lanolin obtained from sheep’s wool. No true vegan would want to take such supplements. Where Do Vegans Get Vitamin D? The common source of Vitamin D for all people vegan or non-vegan is the sun. Spending some time in the sunlight should help your body absorb enough of this vitamin. However, depending on your lifestyle and the region you live in, you may not be getting enough sunlight. Vitamin D regulates cell growth and has also been linked to preventing cancer. There are fortified products that vegans can take for Vitamin D deficiency such as mushrooms, fortified soy milk, and tofu. Alternately, you can take vegan multivitamins to make your life easy. Vegan Multivitamins are specially made from purely vegan sources and provide all the necessary vitamins and minerals needed with a vegan diet. While there are many effective products, you would generally need something that is high in Vitamin B12 which most vegans lack. Deva Vegan Multivitamin has an ample concentration of B12 to help you be your best. 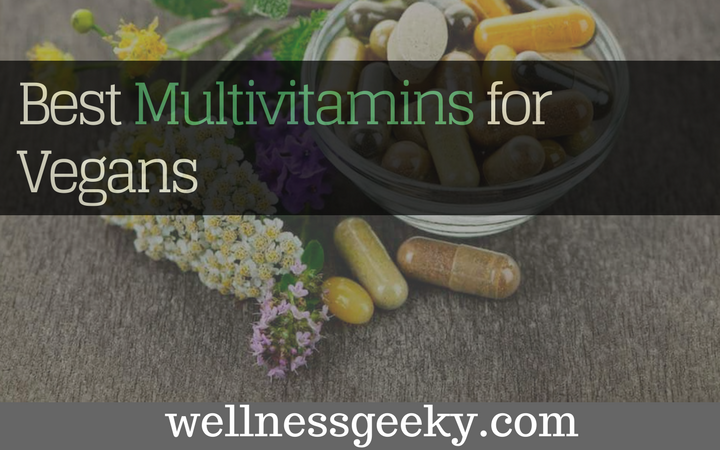 It is generally a good idea to take a multivitamin, especially for vegans to keep everything in balance unless there is an extreme deficiency of a particular vitamin or mineral. This is usually established via lab tests and may require supplements of that vitamin in particular.